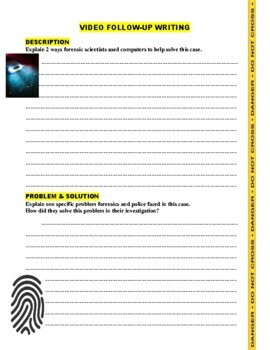 A 12-question worksheet to accompany this video documenting how police and forensic scientists in Texas used ballistics and computer animation to solve the case of a teenager who was mysteriously shot at a gun range. FORENSIC FILES SUPER BUNDLE! 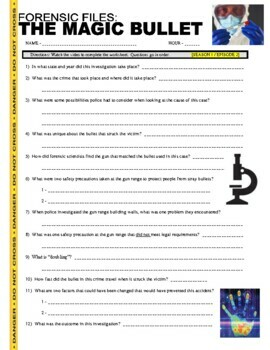 OVER 200+ EPISODE WORKSHEETS WITH LESSON PLAN AND PROJECT IDEAS! Click here to save!